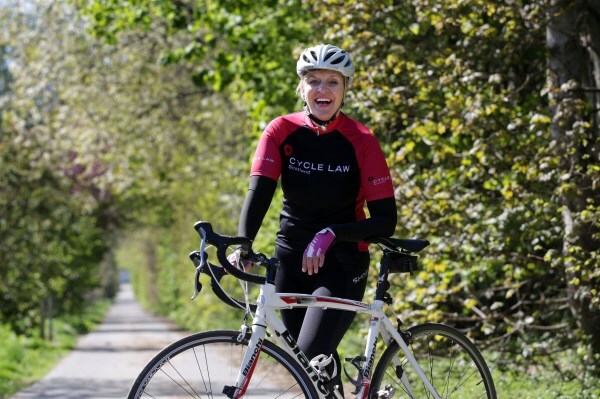 As one of Scotland’s most experienced cycling accident claims lawyers, Brenda specialises in providing cyclists and their families with the best possible legal advice and representation for accident and injury compensation claims. She is also a Champion for the development of cycling in Scotland and founded Belles on Bikes in the Borders to encourage more women to get out on their bikes and enjoy the experience. A passionate cyclist herself, you will always find Brenda out on either her mountain bike or her road bike. Brenda has completed a number of Sportives including the Tour o the Borders and also the Scottish Cycletta. She has ridden in Pedal for Scotland a number of times and in 2017 she took part in Etape Caledonia raising money for MacMillan Cancer at the same time. Brenda is an active campaigner for safer cycling on Scottish roads. In 2013, she founded the Road Share Campaign for Presumed Liability which seeks to bring legal protection to vulnerable road users. Brenda won the BikeBiz Women of the Year 2015 - Pioneer Award, having been listed as one of the Women in Cycling for 2015.